‘With a bit of understanding and empathy, it can work very well’. As Mr N approached the final stages of his life, he was very clear about what he wanted – to stay at home with his family and not go back into hospital. Working closely with Mr N’s family and a volunteer from Otley Action for Older People, community matron Sharon Youhill was able to ensure that his wishes were respected, and that he was able to die in his own home in familiar surroundings, with his family close by. Mr N was 76 and suffered from chronic obstructive pulmonary disease (COPD) and heart failure. As his life neared its end, he made it clear to health professionals that he did not want to go into hospital again and wanted to remain at home. ‘He knew they couldn’t do anything further to help him. He said he didn’t want to go back into hospital, he just wanted to stay with his wife’, says Sharon, a community matron based at Otley. 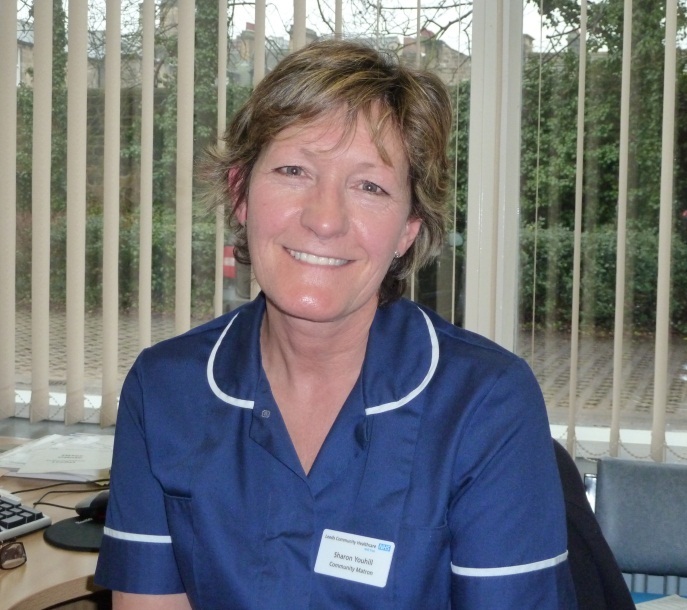 As part of her work to support Mr N, Sharon liaised with his family and a wide range of health professionals including district nurses, GP, hospital consultant, pharmacist and adult social care. But when Mr N’s wife was diagnosed with a medical condition that involved regular hospital visits, this put further strain on the couple, as he couldn’t be left alone. Sharon contacted local neighbourhood network, Otley Action for Older People who were able to provide a volunteer to come and spend time with Mr N three times a week while his wife was attending hospital appointments. The volunteer was able to provide companionship and reassurance to Mr N. This also meant that his wife was not worrying while she was at the hospital since she knew her husband was not at home alone. Sadly, Mr N recently died – but he died according to his wishes, at home with his family close, not in a hospital bed. Sharon and Mr N’s family also believe that having the support of the volunteer made all the difference to the family’s peace of mind during his final days. Otley Action for Older People is a long-established community organisation working on behalf of older people in Otley, Pool and Arthington. It’s one of 37 neighbourhood network schemes across the Leeds area. Neighbourhood networks provide a varied range of services including information, benefits advice, walking groups, befriending services, luncheon clubs, social activities and more. To find out about local neighbourhood networks and other local services, visit www.leedsdirectory.org or call the helpline on 0113 391 8333. For further information about integrated health and social care for adults in Leeds, email healthandsocialcare@leeds.gov.uk or visit www.leeds.gov.uk/transform.